Knotweed, commonly known as Japanese Knotweed (Fallopia japonica), is an invasive plant in North America that is native to Asia. This plant has become an issue throughout the world and is now found in the UK, USA and Canada. Knotweed is a large concern as it can grow up to 4cm a day, can grow in disturbed environments, can out compete native plants, and it is very difficult to eradicate. Its extensive underground root system can penetrate concrete and damage foundations and other home owner related infrastructure. 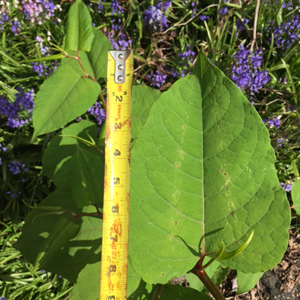 Japanese Knotweed can also have an ecological impact on other native wildlife such as fish as it grows rapidly and changes native plant community assemblages in both terrestrial and riparian environments. Knotweed does not hold soil very well and can lead to erosion on steep sloped gradients such as those found on residential properties in front and backyards. 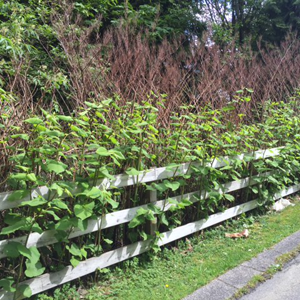 Knotweed growth and its related effects are starting to be seen on the North Shore and in Vancouver, however, eradication methods are available through applications by a certified applicator. Hollow, bamboo-like stems with reddish and green colours. Grows 1-3 meters tall with spade or heart shaped leaves. Usually grows in clusters, with all stems close together at the base that gradually fan out. Knotweed can also grow small white flowers. Manual removal such as cutting, mowing and digging does not work. Due to the nature of the way that the plant can reproduces, this actually enables plant spread. Knotweed reproduces through small plant fragments and through its extensive underground root system. 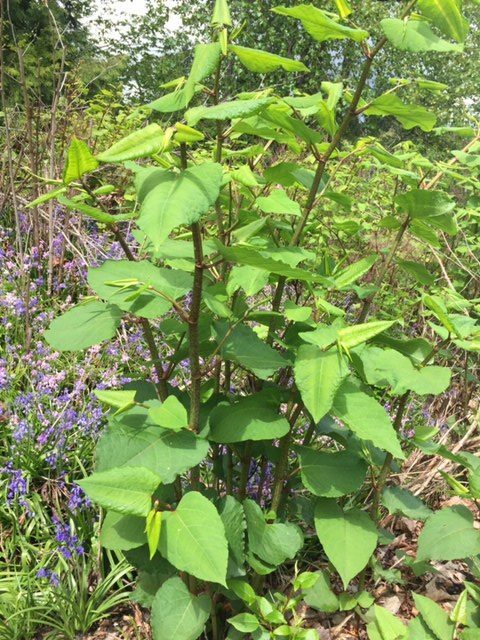 The best treatment for controlling and eradicating knotweed, is by using herbicide, applied by a certified applicator. The herbicide is administered by foliar application. The herbicide used is a non-residual herbicide that breaks down, leaving no toxic residue behind. Initial treatments should be applied to new growth in early spring. 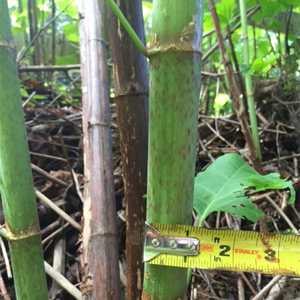 Treatment needs to be followed up by monitoring, as knotweed is a resilient plant. Follow up, or secondary treatments, if required, are applied in late summer. Burley Boys Tree Service Ltd. We’re here to help!